Liability covers the other “not at fault” car if you are involved in an accident. Collision covers your car if you are “at fault”. Medical covers your medical expenses up to the limit you set on the policy. Comprehensive covers your car in the event of things life fire, theft and vandalism. After you decide what type of insurance coverage you want on your auto. Its important to know that its comprised of several parts as well. As the owner of the policy, you can determine what limits you want to carry in each of these areas. Bodily Injury covers the person involved in an ” at fault ” accident. There are two factors, the amount paid out per person and the amount paid out per accident. The minimum here is 30/60 but can go up higher. Physical Damage covers the other parties vehicle if you are involved in an “at fault” accident. Keep in mind that in some cases for only a few more dollars a month you can increase your coverage so that you aren’t left in a sticky situation. You can also receive certain discounts on your insurance for safe driving records, owning your home and even a prior insurance discount. 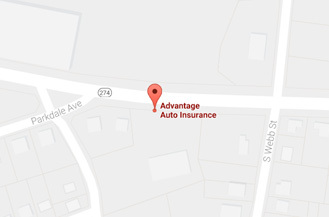 Our skilled agents are waiting to help you find an ideal auto insurance policy that meets your budget. We can help you decide what plans and coverages you need for your specific situation. Let us use our years of experience to your advantage.